Today's Challenge makes me smile. I love bright colors and these papers certainly would brighten someone's day. 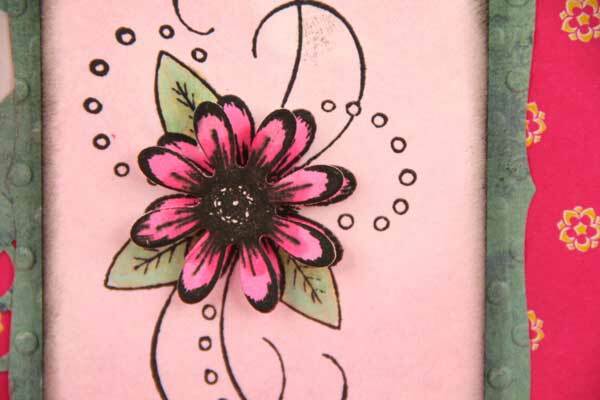 Our #7 Challenge is to create a birthday card using something bright and happy. You can use bright paper, a bright bow or bright embellishments. You also need to use some type of flower. You can stamp, crochet, make a paper one or show us something you have created. I can't wait to see all your bright and happy creations! I cut out another flower and popped it up with some Dimensionals. This is so bright & beautiful! Thanks for another fun challenge! Hope to work on it today! 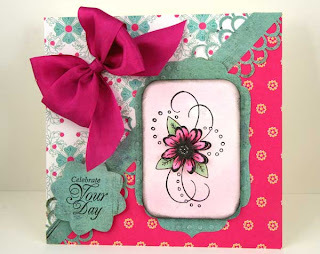 A gorgeous card Joan, I love your bright colors, this will certainly put a smile on someone's face! Your card is gorgeous Joan! Who wouldn't be thrilled to receive such a bright and cheerful card! Love the Daisy and your bow is amazing ! This is such a beautiful birthday card, Joan....hope to find a little time tomorrow to make a birthday card!!! Very pretty card, Joan! So colorful!